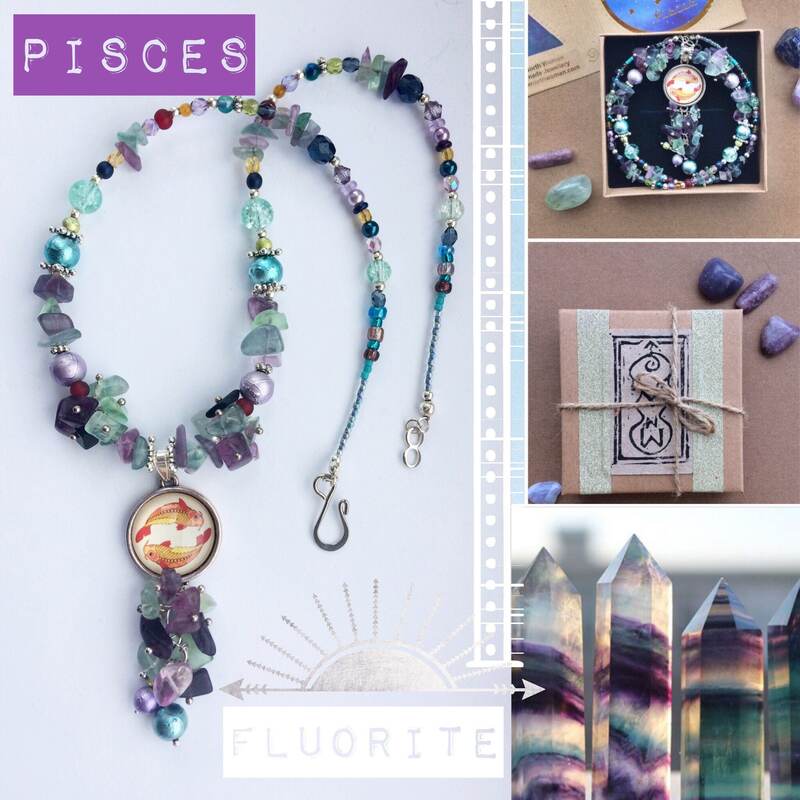 A very unique and special gemstone necklace, with carefully selected A grade quality gemstones, beads and components to illustrate the zodiac sign Pisces. 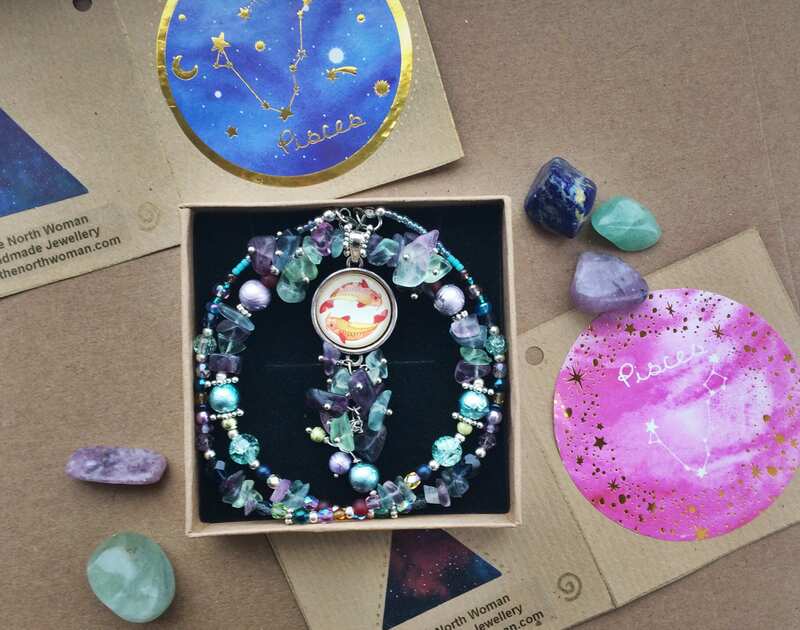 The necklace is a one-of-a-kind creation and comes with a 'gemstone properties' card describing the metaphysical healing properties of the birthstone Fluorite. 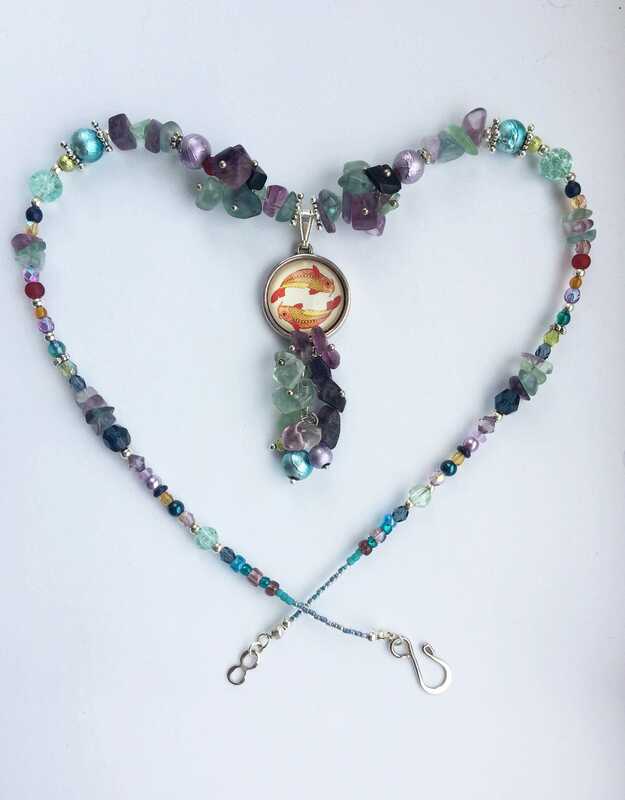 This necklace has a total length of 50cm (19.6")and fastens with a silver coloured scroll clasp. 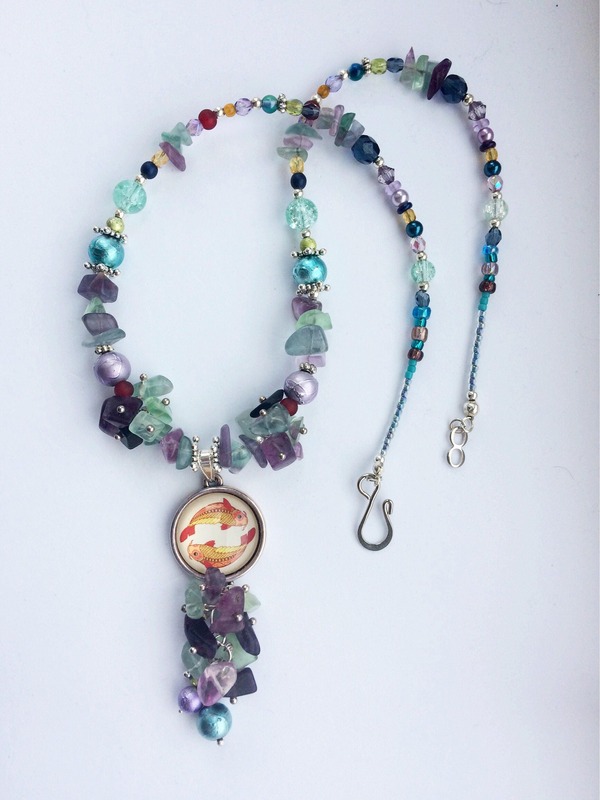 The pendant length (including Pisces motif pendant and gemstone/bead embellishment) is 7cm. 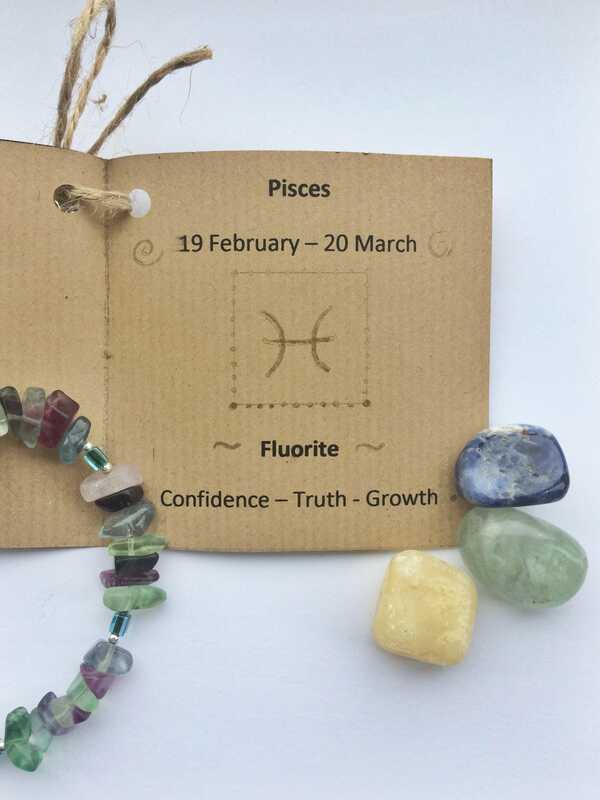 The motif pedant only, of the two dancing Piscean fishes, measures 2cm. 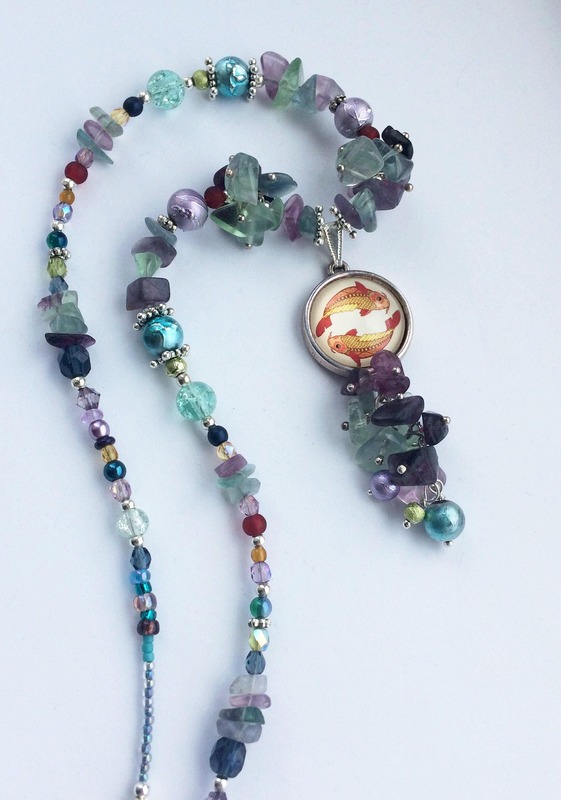 This necklace is comprised of Fluorite gemstone beads, the Piscean gemstone associated with self-confidence and personal growth. 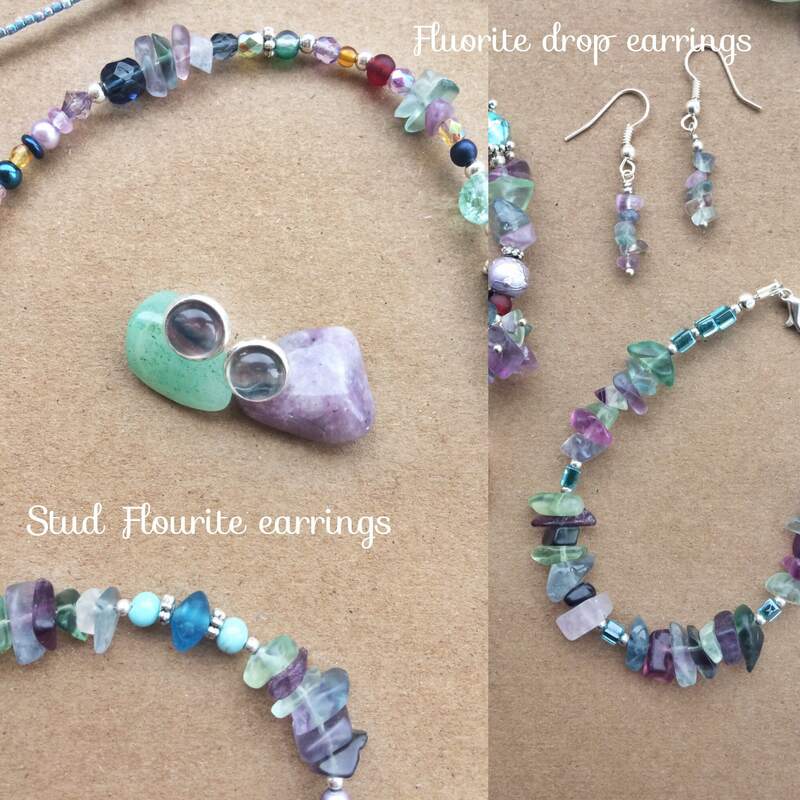 This is a lovely pastel coloured stone in a aquatic range of green, blue and purple colours. 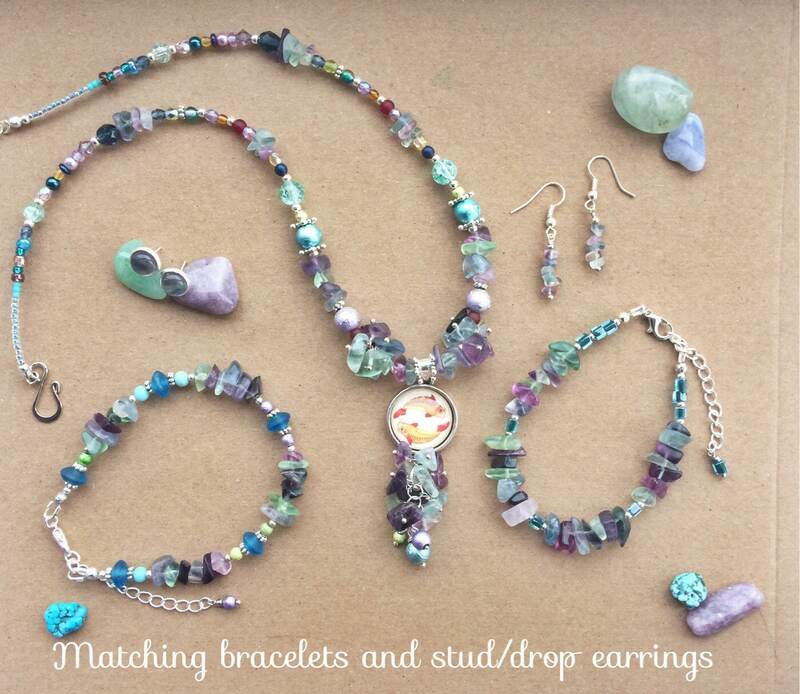 Complimentary beads in range of aquatic hues together with silver are strung in a tapering size arrangement creating a beautifully balanced and delicate yet striking and original design. 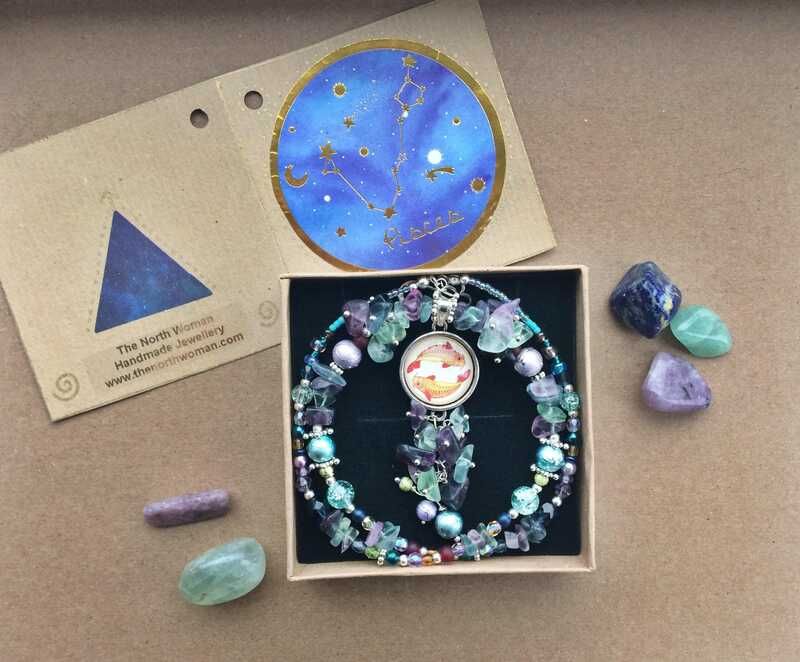 The necklace makes a perfect February/March birthday gift and comes beautifully presented in a hand-finished gift box with a illustrated crystal properties information card and keepsake.